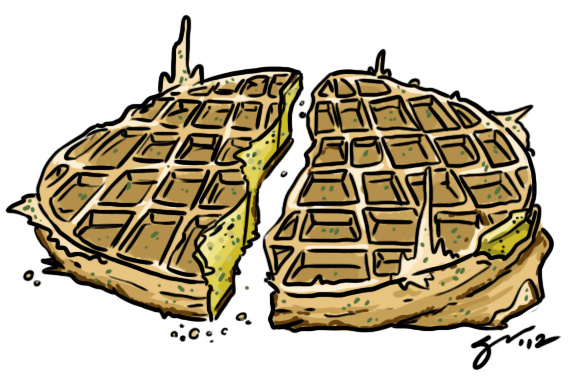 The CEO's wife asked me to draw an awful falafel waffle. I actually don't think this would be too bad as long as it was fried properly and you had tahini (or similar) sauce to go with it. I don't think maple syrup would be a good pairing, but then again I've been wrong a hundred million times before.